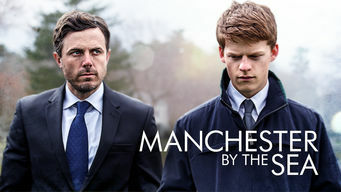 How to watch Manchester by the Sea (2016) on Netflix Israel! Sorry, Manchester by the Sea is not available on Israeli Netflix, but you can unlock it right now in Israel and start watching! With a few simple steps you can change your Netflix region to a country like Hong Kong and start watching Hong Kongese Netflix, which includes Manchester by the Sea. We'll keep checking Netflix Israel for Manchester by the Sea, and this page will be updated with any changes. Manchester by the Sea is not available in Israel BUT it can be unlocked and viewed! A guilt-ridden loner grapples with being named legal guardian of his 16-year-old nephew and returning to his hometown, which holds haunting memories. Grief plagues him in a town he'd hoped to leave behind. Can he overcome his crippling guilt to help his nephew? There is a way to watch Manchester by the Sea in Israel, even though it isn't currently available on Netflix locally. What you need is a system that lets you change your Netflix country. With a few simple steps you can be watching Manchester by the Sea and thousands of other titles! Watch "Manchester by the Sea"
Want to learn how to get American Netflix in Israel?